The Russians are in town for our next champions league encounter, this is an important game for us because if we win then I would imagine we will get out of the group. All the headlines are about Hart not playing and the racism row from the away leg, a shame really considering that a win for us would probably mean getting past the group stages. I am looking forward to the game tomorrow, firstly it has got me out of going to any bonfires (miserable so an so I know) and secondly I think we are going to hammer them and put one foot into the knockout phase. CSKA come to the Etihad in slightly better form than they were in when we played them last time out, they have won their last two games scoring seven goals in the process. Does that mean that they are going to come to the Etihad and perform against us? No it doesn't, CSKA are a poor side and they just don't have the quality in their team to match our abilities. As for us, we are in good form at the moment and look confident with it, this leads me to believe that CSKA are going to be the next team to get a hiding at the Etihad. We have far too much ability to do anything but win this game, couple that with playing on a good pitch and I think we will see a much larger scoreline than we did in Moscow. Vinny Kompany remains sidelined with a thigh injury and Stevan Jovetic will also miss out due to a calf injury, Joe Hart will take up a place on the bench for the second successive game. Vasily Berezutsky (knee) and Alan Dzagoev (hamstring) are both expected to miss out along side Aleksandrs Cauna who has a toe injury. 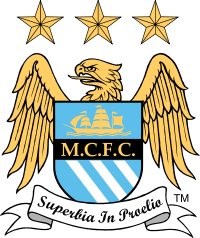 Possible Man City Line Up: Pantilimon, Zabaleta, Demichelis, Nastasic, Kolarov, Toure, Fernandinho, Nasri, Silva, Aguero, Negredo. Worth A Bet: David Silva scores the first goal in a 5 - 0 Man City win @ 80/1.